Dentist for Children | Martin Williams, D.D.S. At Sierra Dental, we know that a healthy smile is the product of prevention, education, and quality dental care provided by an experienced and compassionate dentist. We are committed to helping you educate your family on having a well-established routine of brushing, flossing and regular dental visits for cleanings and exams. Whether your teeth remain healthy or not will depend on several factors such as oral hygiene practices and genetics. Our Green Bay family dentist and his team want to empower the youth to make the best of their natural teeth by implementing excellent oral care habits. There is no better way to prevent gum disease, tooth decay, and other dental conditions that can diminish their smile. Our children’s dentist encourages parents to bring in their one-year-old for a complimentary well-baby visit and he recommends the first professional cleaning by the age of three. Dr. Williams wants your child to look forward to their dental check-ups and these early opportunities lay the foundation for a long-term trusting relationship with our staff. As they grow, we will emphasize the importance of daily hygiene habits and a good diet that includes plenty of fruits and vegetables and to limit sugary and sticky sweets. As they enter adolescence, we will educate your teen on the negative effects tobacco products have on their smile and the relationship between their dental health and their overall health. Our office is equipped with state of the art diagnostic equipment that enables our dentist to promptly diagnosis any dental condition and provides the appropriate treatment. We always take a gentle approach and try to minimize any anxiety that your child may experience by offering drill and shot-free dental procedures. Ask us about night guards to protect teeth from grinding and sports guards to prevent trauma while playing sports or participating in any risky activity. If your child is close to six months old and becomes fussy, they might be teething. You should offer a safe, cold teether but nothing that could pose a choking risk. If they continue to be distressed or have a fever, administer the appropriate dose of infant Tylenol or Motrin and massage their gums with a small amount of infant numbing solution such as Oragel. Your baby’s first teeth will typically be the two lower, middle teeth (central incisors). Once your baby has a tooth you should be brushing it twice a day with a dab of toothpaste the size of a grain of rice. Ask us about introducing fluoride to your child’s brushing routine. Fluoride helps prevent tooth decay by reinforcing the enamel of teeth and is often added to tap water. Speak with your pediatrician to see if your tap water contains fluoride or whether your child needs fluoride supplements. Fluoride is not found in most bottled water. 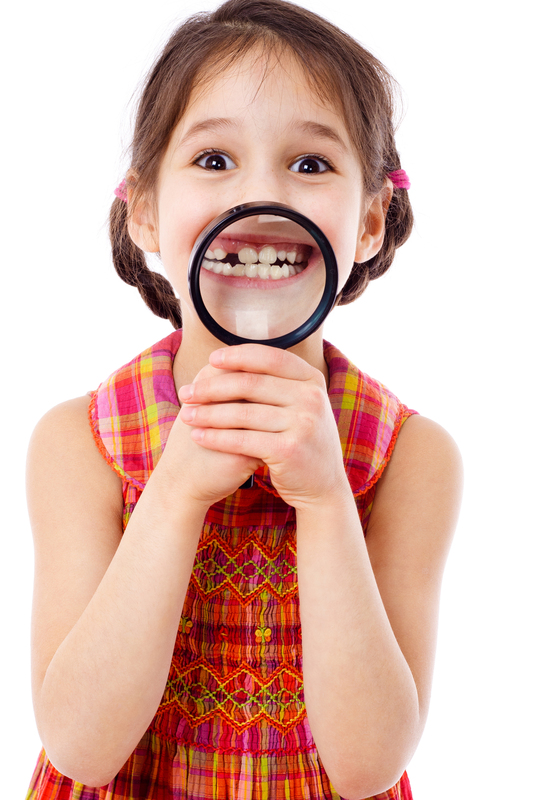 Contact our office in Green Bay to schedule your child’s dental visit.